Ajoon Khan remembers that brisk December morning in the northwestern Pakistani city of Peshawar vividly, as if it were yesterday, Al Jazeera reported. On most days, he would still be asleep when his son, Asfand, left for school, but he happened to have woken up early that day. “We sat wrapped in blankets in bed,” he says, recalling how he spoke to Asfand, 15, his eldest child, about an upcoming wedding in the family, for which they would have to travel to the eastern city of Lahore. At the school, the security operation to secure the facility was over, and ambulances were busy shuttling the dead and wounded to the city’s hospitals. Hours passed, as Khan walked first to the Combined Military Hospital, and then to the Lady Reading Hospital, searching for his son among the bloodied bodies of the 134 school children killed and dozens more who were wounded when the six gunmen stormed their school, setting off explosives and firing automatic rifles into classrooms and auditoriums. 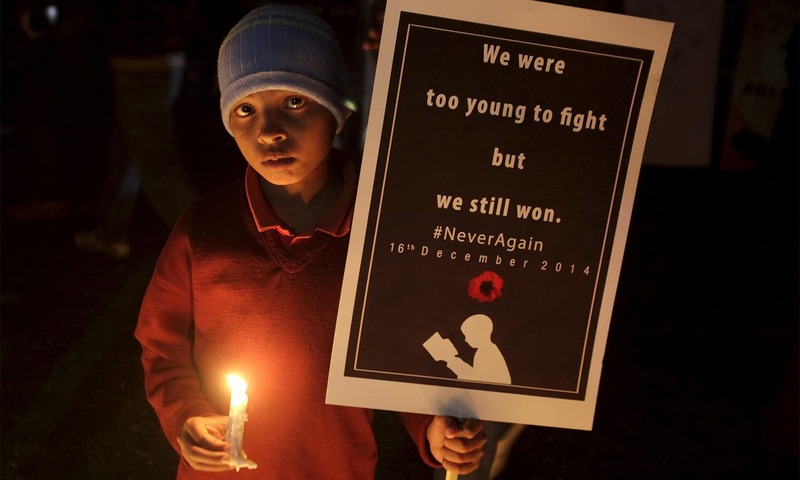 More than 148 people, most of them children, were killed in the attack on Peshawar’s Army Public School on December 16, 2014, making it the second deadliest attack in the country’s history. “[The armed groups were born] in a certain area, there were drivers of conflict in [the tribal districts], and to change that is what Pakistan needs to focus on,” says Khan. Earlier this year, Pakistan’s parliament passed a bill that would merge the erstwhile Federally Administered Tribal Areas (FATA) into Khyber Pakhtunkhwa province, reversing decades of repressive state policies where the region was governed directly from Islamabad and where most Pakistani laws – including those relating to human rights – did not apply. “This continuous security threat that the Tehreek-e-Taliban posed to daily movement and life, it starts where the repressive cycle of the Pakistani state begins [in FATA],” says Simbal Khan, an Islamabad-based security analyst. Since May, the government has been working on implementing a set of legal and administrative reforms that would see the former tribal districts governed in line with policy across the country, with greater resources devoted to governance and citizens allowed full rights and access to the country’s justice system. Hussain warns that there is another danger in Pakistan’s policies: that of selective action against armed groups. “Like an old injury in the winter, when the cold comes, we can feel these wounds open up again every year,” says Akbar Khan, 60, whose son Umar, now 20, was badly wounded in the attack on the Army Public School. “I see signs of the trauma, every day,” says Khan, who says he still feels anger that such an attack could have happened.